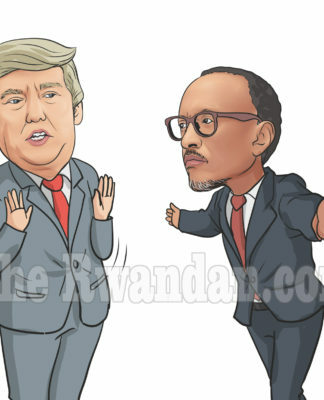 Home Opinion WHAT WILL LIKELY BECOME THE UGLIEST ‘NON-POLITICAL’ FIGHT IN POST-KAGAME RWANDA? WHAT WILL LIKELY BECOME THE UGLIEST ‘NON-POLITICAL’ FIGHT IN POST-KAGAME RWANDA? (4) Kagame will after miraculously experiencing his own “Damascus moment” hand over power to an electoral winner of genuine elections. Rather, the question I am addressing is what will constitute “the ugliest non-political fight” after Kagame has COMPLETELY relinquished power. I am fully aware, of course, that the idea of Rwanda without Kagame at the helm is unimaginable to some people but this will happen sooner or later. From Sir Isaac Newton’s “Universal Law of Gravitation” we know that whatever goes up eventually falls to earth. The Rwandan president will, too, encounter his own gravitational drop, not least via the biological clock, if not by loss of political power. My crystal ball tells me that the ugliest fight in post-Kagame era will about the Rwandan Patriotic Front’s (RPF) money and assets. I base my arguments on four questions – “how much,” “where is the money,” “who owns the assets,” and “how will Crystal Ventures Ltd become sustained” beyond Kagame. In such circumstances the level of mutual trust ranges from low to non-existent. There are hardly any individuals “on the same side.” What you see instead is perpetual and ruthless back-stabbing accompanied by chronic lack of trust. Secrecy and a culture of hoading and hiding information from colleagues that need to work together take root: priority becomes instead sharing lowly and routine information with the top leader to impress him and to win favours from him. 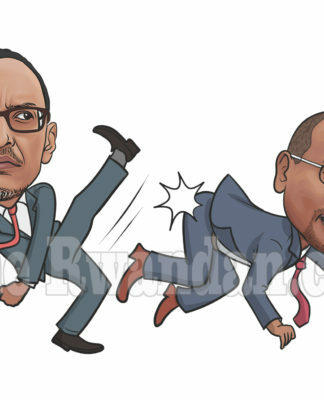 In a nutshell, this is the toxic environment in which power and money have been accumulated and used in RPF, the ruling party headed by President Paul Kagame directly or indirectly since 1990. Once in governmental power from 1994 onwards, people who had nothing suddenly acquired access to power, influence and money. And they answer to one man – the president, who also single-handedly determines their fate. Without presidential blessing, his subordinates become non-entities. The system is dependent on and primarily thrives on the goodwill of a single kingpin whose presence and roles over-shadow everything else. HOW MUCH MONEY & ASSETS? Besides being President of Rwanda, Paul Kagame is RPF’s Chairman, and in practice the real “CEO” of Crystal Ventures, the ruling party’s conglomerate. The wealth of Crystal Ventures is acquired mostly via its dominant position in telecommunications, construction, real estate, and food processing. Various guess-estimates maintain that Crystal Ventures is bigger than Rwanda’s private sector. The RPF conglomerate is said to be the second largest employer after government. Where is the RPF monies invested domestically or internationally? Do members have any idea? NO. Beyond such vague rhetoric and generality, you do not find on Crystal Ventures’ website any names – certainly no Board of Directors, or rules of how the holding company works. Even if the names were published, such individuals are answerable to the real CEO of the Group who is President Kagame; and James Musoni in his capacity as special assistant to Kagame in RPF affairs. HOW WILL THE EMPIRE BE SUSTAINED AFTER KAGAME? A quick glance at Crystal Ventures’ website provides a glimpse of crony capitalism in Rwanda; for example RPF’s Crystal Venture conglomerate is currently renovating the Central Bank of Rwanda; is building a stadium in the Southern Province; and has completed building the Gitarama branch of the Bank of Kigali, which is wholly-owned by the Kagame government. There are other known cases of institutionalised conflicts of interest – such as in the aviation sector where government rents RPF’s executive jets for transporting Kagame in his capacity as president; and use of Rwanda social security funds to build RPF’s companies such as the East African Granite Industries. Additional means of reinforcing crony capitalism is President Kagame’s deployment of the so-called ‘chairmen’ of Crystal Ventures whom he routinely transfers from his government and returns to the public sector where removed. Professor Manasseh Nshuti was at one time finance minister and advisor to President Kagame. Nshuti who was removed from Crystal Ventures in May 2013 is now the chief campaigner for constitutional amendment to remove term limits to permit Kagame to remain president beyond 2017. Prior to Nshuti’s tenure at Crystal was John Mirenge who is now CEO of Rwanda Air. Jack Kayonga is the latest Kagame appointee as ‘chairman’ after his tenure of CEO of the Rwanda Development Bank, a governmental lender that is widely known for financing Crystal Ventures’ projects. There can be no question that the primary source of wealth for Kagame the CEO of RPF/Crystal Ventures is from Kagame the president of Rwanda. This is the ultimate perfection of crony capitalism. But how will this unique brand of institutionalised corruption become sustained in post-Kagame phase? This is the million dollar question. * Annual meeting of Crystal Ventures Ltd’s shareholders are not known – if ever held! * An Annual Repot with certified internal and external auditors’ validation is unheard in RPF business dealings. I dare any doubting Thomas to show us even a single Tristar/Crystal Ventures anual report published in the past 18 years. Zero – nothing! Things appear to work under the autocratic management. In this dictatorial set-up where the President of Rwanda has total authority and control over decision-making, normality on surface prevails. But what happens when the President is out of this picture – who determines what, when, and how? Who will be the referee with no written rules? My crystal balls shows an ugly fight ahead.